To encourage healthcare technology innovation and update the 510(k) pathway, the regulatory agency said that it will soon release measures aimed to sunset predicate devices that are over a decade old. 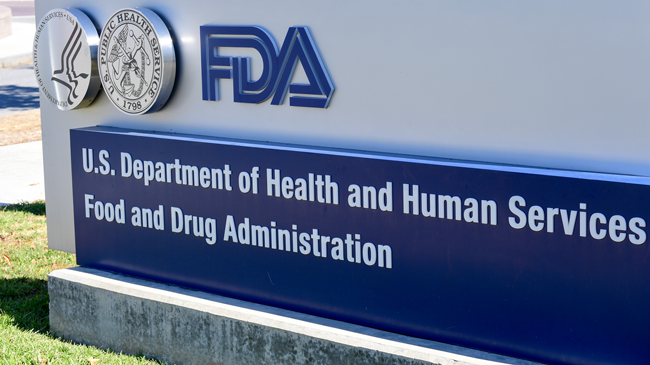 Yesterday, the FDA announced in a press release that it is eyeing potential updates to the agency’s 510(k) clearance pathway for medical devices. These could include a requirement for more modern predicate devices as well as objective safety and performance criteria during regulatory submission. In the interest of promoting innovation, FDA Commissioner Dr. Scott Gottlieb and Dr. Jeff Shuren, director of the FDA’s Center for Devices and Radiological Health (CDRH), said in a statement yesterday that CDRH is deciding over the next few months whether to publish on its website a list of devices or manufacturers that cited predicate devices older than 10 years in their submissions. The pair also said that the agency is investigating whether or not to retire older devices as eligible predicates, a move that could require input from Congress. In addition, the statement described plans to establish an alternative regulatory pathway more reliant on objective safety and performance measures. Guidance for this “Safety and Performance Based Pathway” is set to be finalized in early 2019. “Rather than looking to the past as a baseline for safety and effectiveness – and rely on predicate devices that are sometimes decades old as our point of comparison – our premarket review would be based on a contemporary baseline that looks to the future and a baseline that can be updated as technologies advance,” they wrote. According to the agency, 2017 saw 3,173 devices cleared through the 510(k) pathway, constituting 82 percent of all green lit devices that year. Of these, roughly 20 percent are based on predicate devices that are more than 10 years old, Gottlieb and Shuren wrote, and would be impacted by the proposed updates. Although performance report released yesterday by the FDA detailed the increasing size, scrutiny and speed of these device submissions since 2009, these latest updates are another indication that the agency is not yet satisfied with its longstanding regulatory procedures. “We’re seizing the chance to make a generational change in the framework for 510(k) reviews – one that advances its best features while making sure it keeps pace with modern innovation,” Gottlieb and Shuren wrote. Barbara A. Binzak Blumenfeld, a shareholder at Buchanan, Ingersoll & Rooney who advises clients on FDA regulatory issues, said that the update wasn’t a surprise given the changing face of medical devices and the agency’s other recent initiatives. However, she recommended that device sponsors continue monitoring any updates from the agency on new guidelines and rules, as well as take advantage of the FDA’s various engagement programs to guide its policies in a way that benefits industry and the public. Bradley Merrill Thompson, a lawyer at Epstein, Becker & Green who counsels on FDA regulatory issues, described Gottlieb and Shuren’s statement as the latest in “a very troubling pattern” of the FDA acting beyond its scope. In an email to MobiHealthNews, he explained that phasing out old devices would be “essentially forcing companies to innovate regardless of whether the marketplace perceives a need,” thereby driving healthcare costs with unnecessary R&D. Thompson also noted that if the agency truly believes that new regulatory efforts are necessary to drive the market, it would need to make a case to Congress for an update to the Medical Device Regulation Act of 1976 rather than act on its own. Yesterday’s update comes on the heels of another announcement from Gottlieb and Shuren released last week. This release promised more information on “a series of updates” to FDA’s post-market surveillance system, approaches to encouraging medical device innovation, funding and exploration of the National Evaluation System for health Technology (NEST) and other long-term goals. On a larger scale, these potential updates to the 510(k) pathway are are among the FDA’s latest efforts to streamline healthcare’s adoption of new technologies. Examples of these efforts include the experimental Pre-Cert Program, premarket exemption of genetic risk assessments following a single successful review, proposed framework allowing apps and software accompanying drugs to avoid premarket review and the ongoing development of guidance for clinical decision support tools.